Good color. Good quality. 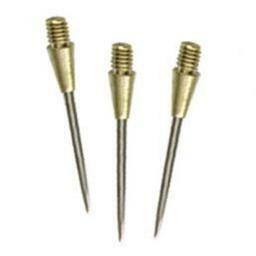 Can fit darts with flights on inside zipped up and don't worry about them getting flatten inside. 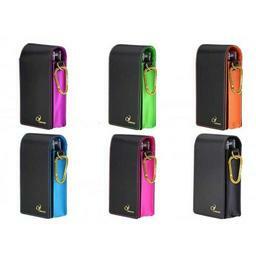 Nice size compact case that is large on storage. Even though there is not a designated tip storage place I have about 20 in a small baggie and just set it inside works great! Nice case, comfortably holds two sets and at least 32 individual flights. Great buy! Great design, plenty of space/organizers for extra flights and a larger pouch area for tools and replacement parts. Compact and durable. 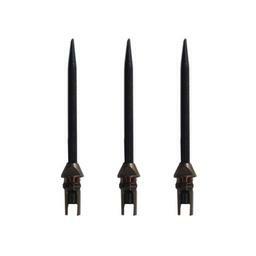 My only complaint was some of the dart tips puncture through the nylon dart dividers occasionally. No major issue, you just have to "wiggle" the dart into place. I think as I use the case more, the dividers will form to the dart and the point will fall into place more easily. Great case!!!! Especially the price!!! Really nice case even more so for the price. Feels very solid and will be durable as well. Nice compact design but holds a lot as well. great case, really enjoy it. Purchased for my 7 year old daughter for Christmas and she loves it! I needed a new case for when I go out. This one is perfect and the price was even better. Lots of room. You get what you pay for.Nice case but flattens the flights when closing the case. Not much room for anything, inside case is of poor quality & design. Do not recommend this case for purchase. 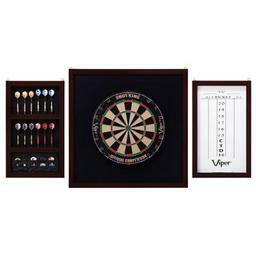 While two sets of darts do fit in this case it could be slightly larger. Especially if you want to leave the flights on the darts. Great case!! Compact and still holds everything I like to carry with me. Purfect choice. 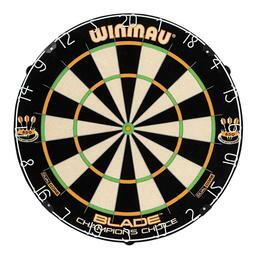 its nice but it crushes the flights if left on the darts. Absolutely love the camo cases we bought! Perfect for when my husband & I play at different locations! Case is exactly what I was looking for. Something that will carry all my dart supplies and be able to fit it my coat pocket. 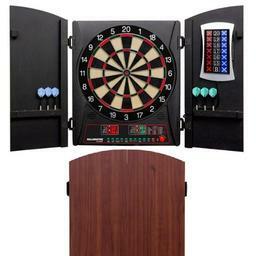 Performs as advertised holds two sets of darts and several sets of flights. (downside) When puting sharp darts in the case the fabric is easily pierced. 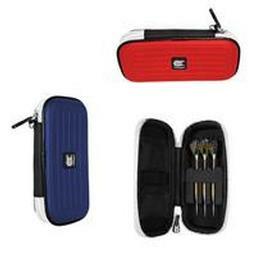 nice case a little small bold everything you need for 2-3 set of darts, small compact fits nicely in my coat pocket. 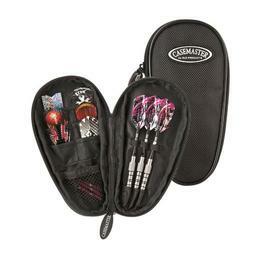 Great case to hold my 2 sets of darts and great price. The case is nice and compact. The only issue is that you really should remove the flights from your darts before closing the case; they tend to get flattened if you leave them on and zip it closed. If you want to keep your darts ready to go in your case, this is not for you. If you don't mind the extra work of attaching and removing the flights before and after playing, this case is perfect. I find the zipper strap/handle useless, but it is easily removed. Simple case at a great price. Muy buena compra, por su precio. Gracias Darting, Son Muy respinsables con los envios. It was the perfect size and exactly what I had hoped it would be. Lost the first one and just HAD to have another-it's perfect. I love this compact dart case everyone i showed it to on my dart team likes it i just wish there was somewhere to put my extra tips. The constructions is great but the inside has four very small pockets that seam to be of no use (at least for me). I think the space would be better used for an extra set of flights or in my case a place to put the dart wrench. But otherwise I like the case. It does have two pockets for flights. Great case! Holds two sets of darts. Great price! It's a great, really durable case, and you get the most for how compact it is. The only thing it lacks is a container for tips. love it, fits right in my smaller sized purse. 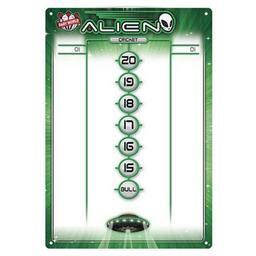 And is perfect alone for tourneys cause of the inside pocket for cash and i.d.'s!!! this is perfect compact case to take to the bar.